There are over 200 spellings of MacMillan and numerous septs including Bell, Blue, Baxter and Millan. 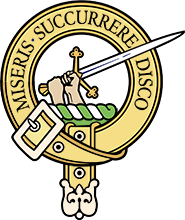 Clan MacMillan International’s online genealogy archive, Project MAOL contains details of over 10,000 M’millans spanning the eight centuries of the clan’s existence. Above, MacMillan Hunting Old tartan. See more about Clan MacMillan tartans. See our News page with articles about the Commemoration of the 1719 Jacobite Rising and the Battle of Glenshiel; Clan historian and genealogist lectures in New Zealand and Australia. See a listing of clan events.